These beautiful Escoda Optimo travel brushes are perfect for taking on painting trips. 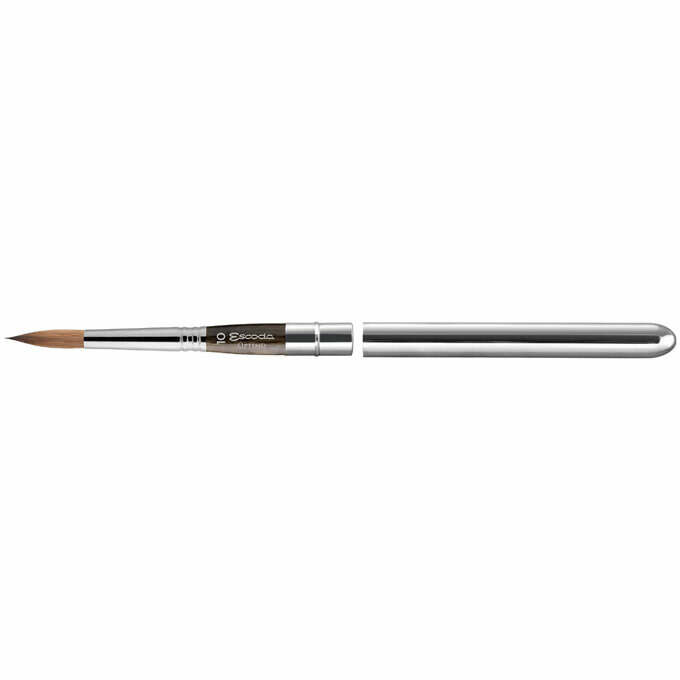 They are in two parts enabling you to put the brush end inside the handle for easy transportation. I use a JFW palette made by the Little Brass Box Company and I also have a Craig Young palette. Both these paintsets are great for painting outdoors but there's always the problem of finding suitable brushes to go with them. Initially I cut down some W&N brushes but when stored inside the palette boxes, they moved around and the hairs became distorted due to pressing against the edge of the box. 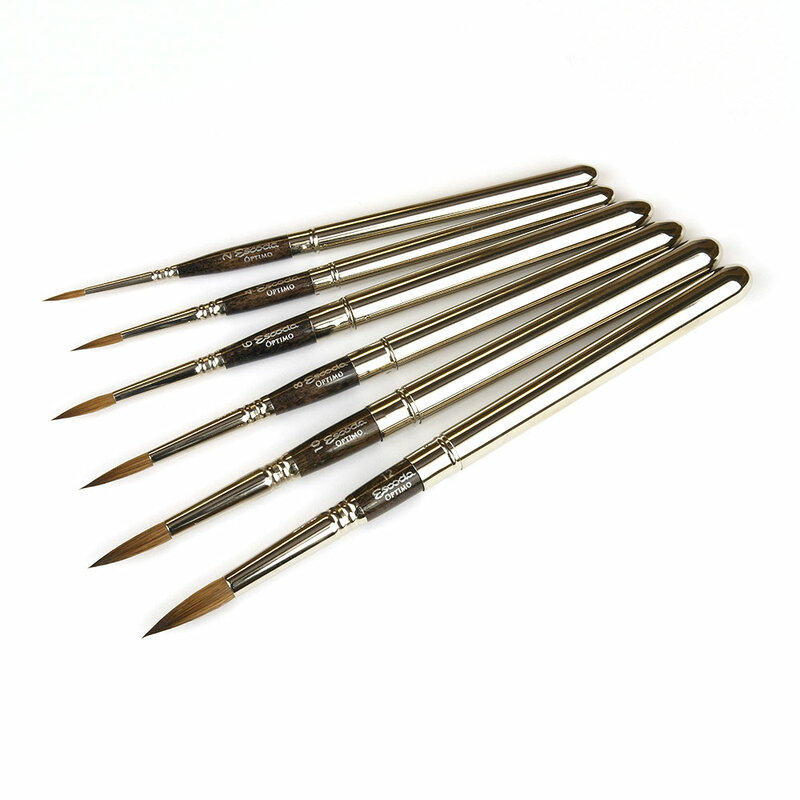 So when I spotted these Travel Brushes from Escoda, I was quite excited and even more so when I saw that Ken Bromley could supply the complete set of Kolinsky Sables for under £70 - I paid twice that amount for 1 W&N Series 7 brush!! When I collected the Escoda's from the shop, I was very pleased with their construction and equally impressed with the way the brushes performed on paper. The protective covers form a nice, long handle which makes them very easy to work with and the ventilation hole in the end of the cover allows the hairs to continue to dry when the brushes have been stored away.